It is a known fact that the Chinese market plays a crucial role for the success of Apple Inc (NASDAQ:AAPL), with tens of millions of devices sold to the Chinese people on a yearly basis. As a matter of fact, this year alone Apple, is expected to ship up to 20-25 million iPhone 5S to China. There is no better way to celebrate the well-known Chinese New Year than by reducing the prices of two of Apple’s most popular products: the MacBook and the iPhone 5, and the Chinese people surely seem thrilled about the idea. One thing is for sure, though: Apple does seem to have big plans for the Chinese market in 2014, as the multinational company has recently announced a blossoming partnership with China Mobile. The Lunar New Year is by far the biggest celebration for the Chinese people, and it is also a great occasion for them to shop for gifts and presents for the dear ones – this is exactly why Apple has decided to reduce the prices. A couple of days ago, the iPhone manufacturer has cut down the price for all the iPhone models by approximately $57, the equivalent for 350 yuan. At the time being, the iPhone 5S can be purchased for little over 4,900 yuan while its predecessor, the iPhone 4 costs no more than 2,238 yuan. 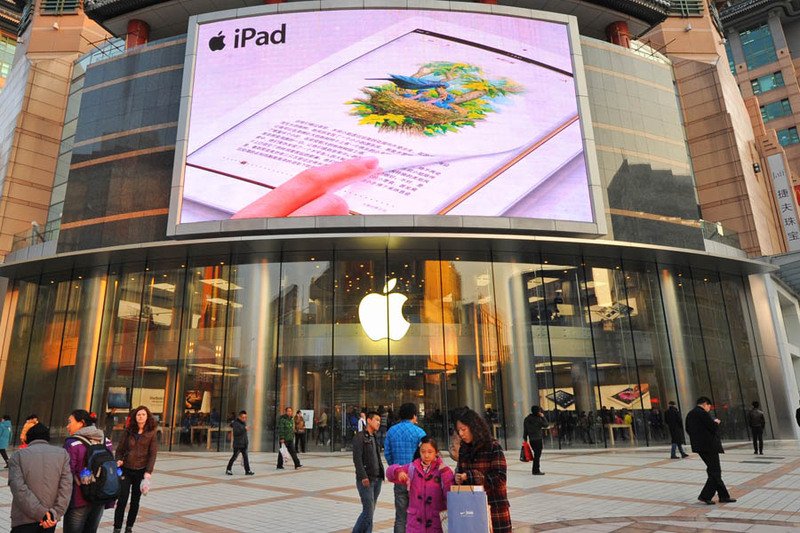 However, the price cuts apply to the iPad models as well, as the sought-after iPad Mini now costs approximately 220 yuan less than it used to be a few weeks ago, while the price of the iPad Air has been reduced by no less than 290 yuan, which means that the latter can now be purchased for approximately 3,300 yuan. The biggest price cuts are undoubtedly for the MacBook models, as all of them have been reduced by almost 700 yuan, a massive discount if you think about the fact that you can now acquire a MacBook Pro for less than 8,600 yuan on the Chinese Market. It must be said that these impressive discounts announced by Apple apply not only to China, but to all the other Asian nations that celebrate the Lunar New Year – in other words, you can benefit from the same discounts if you live in Thailand, Taiwan, Singapore, Malaysia and several more.